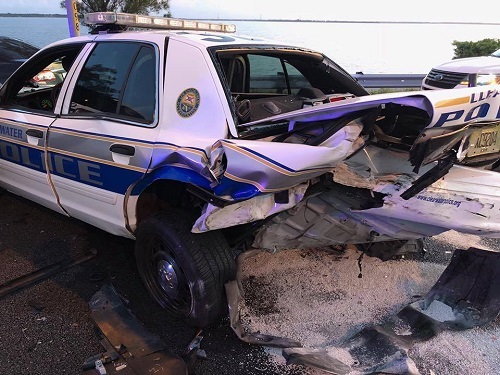 The three suffered minor injuries in two separate crashes that happened within minutes of each other, the Clearwater Police Department said. 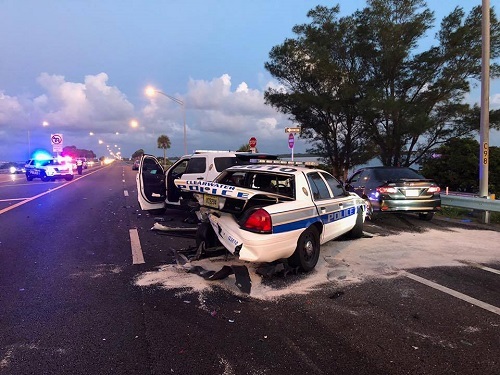 CLEARWATER – Three police officers suffered minor injuries this morning (Aug. 11) in two separate crashes on the Courtney Campbell Causeway, according to the Clearwater Police Department. Officers Paul Bosco, Michael Beaver, and Kevin Vigh were taken to Mease Countryside Hospital with minor injuries. They were treated and released. No other injuries were reported. 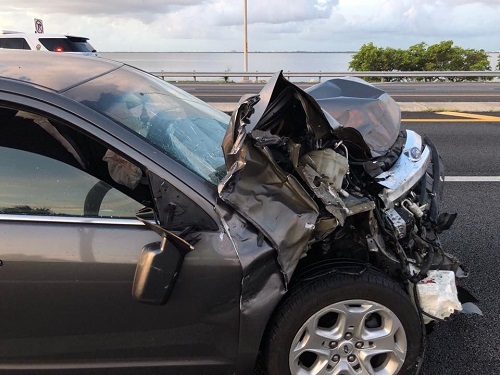 The first call for help came in about 3:04 a.m. as a disabled vehicle in the westbound lanes of the Causeway. As one officer was on scene waiting for a tow truck to arrive, his 2018 Ford Explorer was struck from behind about 3:24 a.m. by a westbound 2011 Toyota Corolla driven by Joshua J. Mayer, 33. Police said the officer’s emergency lights were on at the time. Mayer told police he had looked down at his phone when he lost control of his There were no injuries in that crash. Two other officers arrived on scene to investigate that crash, and about 12 minutes later, a westbound 2011 Ford Fusion driven by Billy E. Chatman III, 24, slammed into the rear of another cruiser. The impact pushed both cruisers into one another, and all three officers on scene were struck either by the vehicles or flying debris. In all, three police vehicles – the 2018 Ford Explorer, a 2017 Ford Explorer and a 2010 Ford Crown Victoria, were involved in the second crash. Those police vehicles all had their emergency lights on. Officers said Chatman told them that he fell asleep at the wheel. Witnesses told officers Chatman was speeding at the time of the crash. Photos courtesy of the Clearwater Police Department.